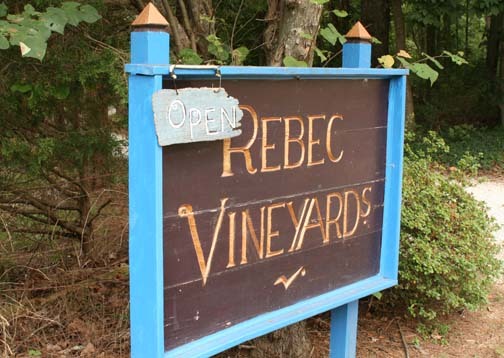 Just north of Lynchburg, VA, in Amherst County, is Rebec Vineyards. A 70 acre estate covering rolling hills, with beautiful views of the Blue Ridge Mountains, growing European varieties of grapes the plantings were started in 1980. By 1987 the wine produced began selling under the Rebec label. What is a rebec? A medieval stringed instrument, a forerunner of the modern violin. The rebec represents the owners commitment to old-world craftsmanship in winemaking. The winery and tasting room is built from rich weathered chestnut siding and exposed beams from a 200-year old barn, which was once part of the historic farm. Rebec Vineyard’s Tasting room made from reclaimed lumber from property. 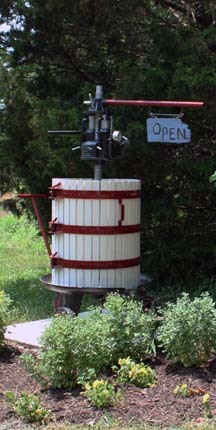 Visitors can enjoy 16-18 wines, depending on the season. Rebec says it has a “wine for everyone”. Wines range from the usual Chardonnay, Pinot Grigio, Gewurztraminer, Riesling to Pinot Noir, Merlot, Cabernet Franc and Cabernet Sauvignon. In addition you might try their Sweet Briar Rose, a semi-sweet blush, Autumn Glow, which combines Riesling and reds or their niche herb-infused wine called Sweet Sofia. All will tempt your palate to take some home with you. 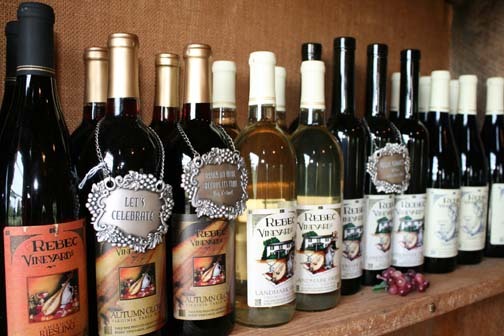 Rebec Vineyards has a wine for everyone! Rebec wines can be purchased at the winery, while attending festivals and at local restaurants and retail stores. Rebec has a wine club which allows you to automatically receive wine four times each year. The club offers selections under the following categories: Rebec select, Rebec White, Rebec Red and Rebec Sweet. The tasting room is open everyday between 10:00-5:00. Call 434.907.1859 to confirm hours or to get particulars about their wine club. Rebec Vineyards is perhaps best known as the host of the Virginia Wine & Garlic Festival. Held the second full weekend each October, this year October 10 & 11, the festival is always much fun. 9 wineries, 5 garlic growers, 35 artists and crafters, 21 specialty food vendors, live music and lots of crazy people will be found at the festival this year. Stay with us at The Carriage House Inn Bed and Breakfast, at least 2 nights, during the festival, and your one-day tasting tickets will be complimentary. Prices start at $239 per night. Call 434.846.1388 to book your stay and festival. Booking must be made at least 48 hours in advance. Tickets are non-refundable. 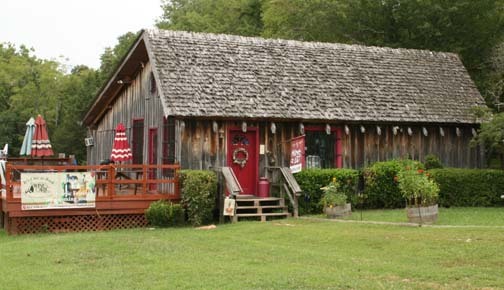 Rebec Vineyards is located just off RT 29 about 30 minutes from The Carriage House Inn Bed and Breakfast. Guests traveling towards Richmond, Charlottesville, DC and points beyond will pass them on their way to Lynchburg! Stop in and pick up a bottle of wine to enjoy on our front porch or patio. Remember to drink and drive responsibly. Hope to see you soon! 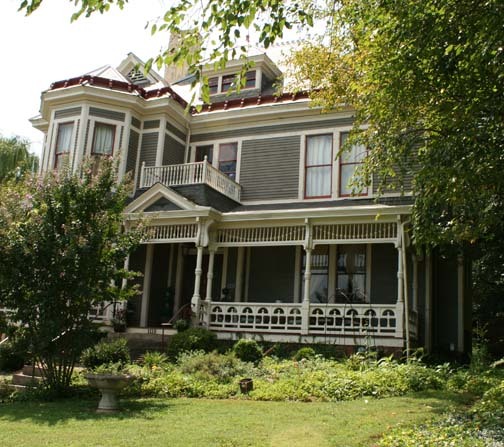 The Lynchburg Historic Foundation Annual Tour of Homes will take place Sunday, September 27, 2015 between 1:00-4:30 PM. 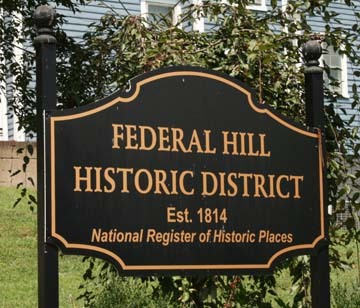 The tour this year will be in the Federal Hill Historic District. Federal Hill was Lynchburg, Virginia’s first residential suburb. Annexed in 1852 many of the district’s earliest houses were built in the 1820’s. Federal Hill developed slowly. This slow development allowed it to consist of a variety of architectural styles. You will find Federal, French Second Empire, Georgian Revival and Queen Anne styles. Areas at opposite ends of Federal Street make-up distinctive sub-districts, owing to topography. Federal Hill is one of the smallest and most compact historic districts in Lynchburg. 67 structures plus 25 outbuildings comprise the district. Frame vernacular dwellings make up the majority of the structures. 25% of the dwellings are brick. 85% of the homes have some type of front porch. Federal Hill was placed on the National Register of Historic Places in 1980. 1121 Harrison Street, built in 1876. This brick, French Second Empire sits high on a hill with excellent views of downtown Lynchburg. 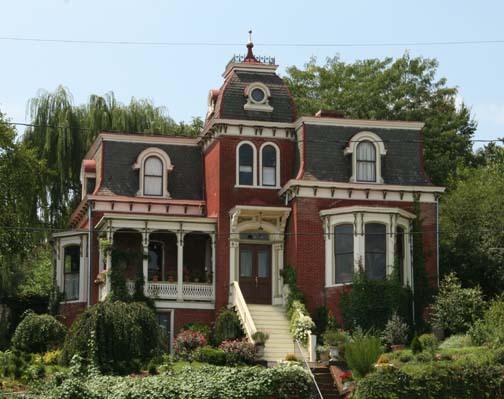 Designed by Robert Burkholder it has its original Mansard roof, built of Virginia slate. 1014 Harrison Street, built in 1878. A unique turret is one of the special features of this brick home. Also designed by Robert Burkholder it was built for a prominet tobacconist. 1115 Federal Street, built in 1890. This home was also built by a tobacconist in a transition between a Queen Anne and First Colonial revival style. 1012 Federal Street, built in 1910. This frame home overlooks downtown Lynchburg from it’s large deck. This Colonial Revival has kept many of its original fixtures and all of its character. Tickets for the tour are $20.00 per person. Tickets can be purchased at the Lynchburg Visitor Center, lynchburgtickets.com or by calling the Historic Foundation Office at 434.528.5353. The annual tour is always a huge success for the Historic Foundation and serves as it’s major fund raiser. Stay with us at The Carriage House Inn Bed & Breakfast and we’ll let you enjoy our historic home. Call 434.846.1388 to discuss package details. We look forward to welcoming you to Lynchburg. Lockn’ Music Festival is just a couple months away and now is the time to think about purchasing your tickets and if you opt not to camp out at the festival book your rooms at The Carriage House Inn Bed and Breakfast. The dates are September 10-13. Check their website above for ticket prices (students and military discounts are available). If you attended The Woodstock Festival in August 1969, this is similar in many ways but better organized with food vendors, camping options and much more, but if you didn’t attend and you want to experience thousands of fans enjoying great music from some top name entertainers then you won’t want to miss Lockn’ Music Festival 2015. At the Lockin’ Music Festival you can rent a tent or a space for your RV (check their website for pricing) or if you prefer to sleep in a comfortable bed, have a hot shower and enjoy our legendary breakfast each morning, all in air conditioned comfort then you may want to consider booking your room at The Carriage House Inn Bed and Breakfast in Downtown Lynchburg. 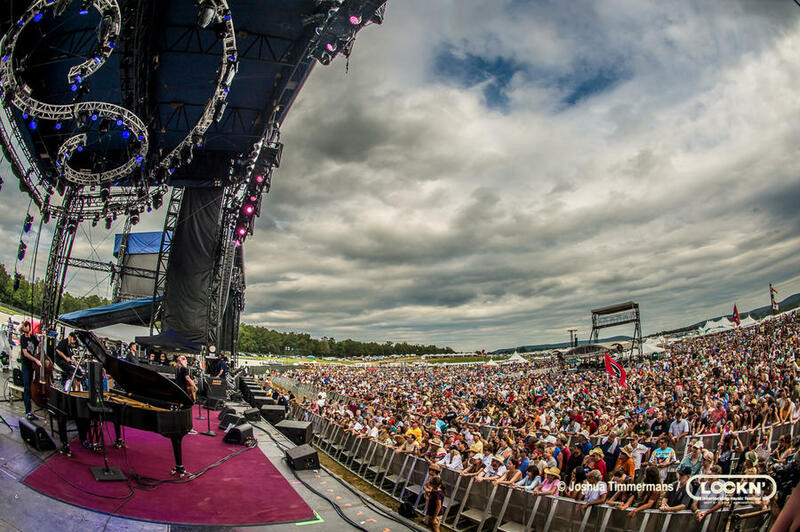 Stay at least 4 consecutive nights while enjoying the Lockn’ Music Festival and get one room night free! 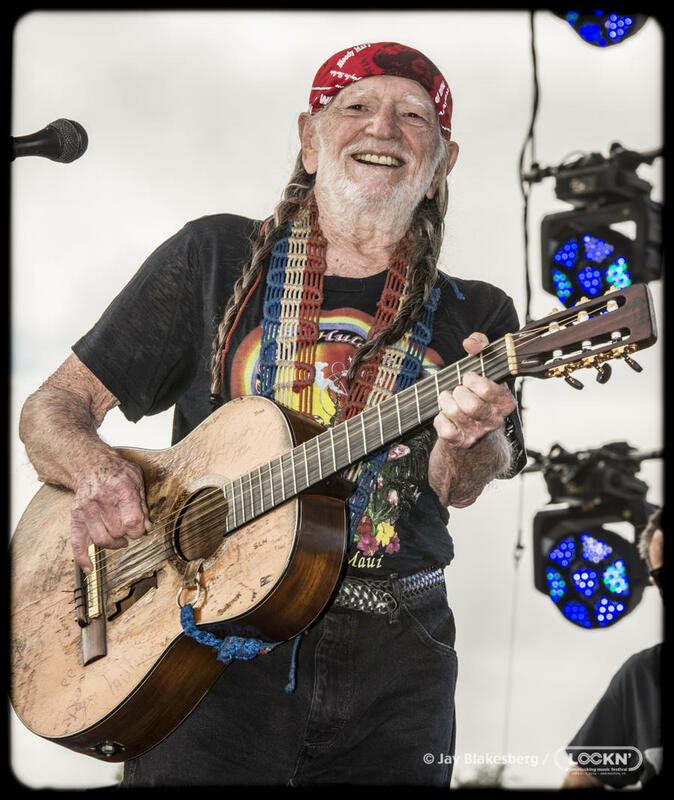 The Lockn’ Music Festival is held in Nelson County and is only about 30 minutes north of Lynchburg. This year there will be many well known artists such as The Doobie Brothers, Carlos Santana and Jefferson Airplane (from my generation) but check out the list below to see if any of your favorite performers will be there. 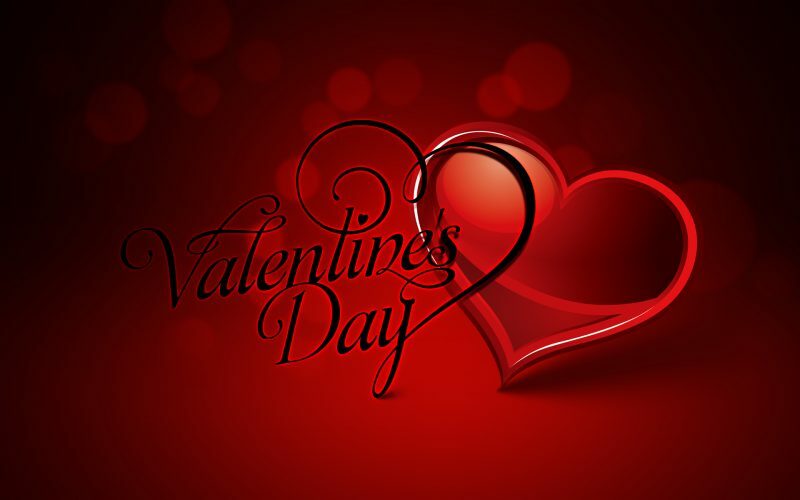 To take advantage of this special call 434-846-1388 to book your reservation. You must mention that you will be attending the Lockn’ Music Festival to qualify for the special package rate. This special cannot be combined with any other discount, special, package, or promotion and gift cards cannot be accepted for payment. These reservations must be paid for when the reservation is made and are non-refundable. Built in Roanoke in 1950, the J Class train was the most powerful steam locomotive ever built and arguably the best looking train ever built. 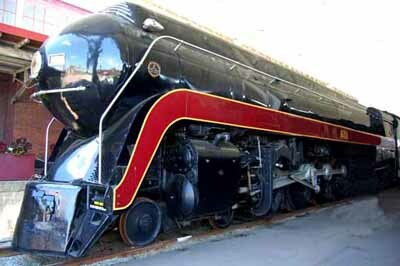 Norfolk and Western only built 14 J Class passenger locomotives and train No. 611 was retired in 1959 and was housed in Roanoke’s Transportation Museum until 1981 when it was towed to Birmingham Alabama to be revitalized, the same year Norfolk Western merged with Southern Railway to become Norfolk Southern. Train No. 611 was used to pull excursions until 1994 when it was again retired and returned to the museum where train enthusiasts from around the word visited train No. 611. After years of fundraising the museum again decided to undertake a massive restoration costing about $3.5 million. Last year the train was towed to North Carolina for the restoration and now that the restoration is complete, Train No. 611 will be hauling passengers on a very limited basis. On Sunday June 14, 2015 you can ride the newly restored J Class steam locomotive, Train No. 611 from Lynchburg to Petersburg. The train will depart at about 7:30am and will arrive in Petersburg at 12:30. About 2:30 the train will be returning to Lynchburg where it will arrive about 6:30pm.. Tickets are going fast. Call The Carriage House Inn Bed and Breakfast at 434-846-1388 for a once in a lifetime opportunity to ride this famous steam powered locomotive. With your two night stay you will receive two deluxe coach tickets (subject to availability). Note: Because tickets are non-refundable and going fast, you will be charged in full when the reservation is made and the reservation is NON-REFUNDABLE. Cost for this package is $775.00 and includes two room nights in the mansion, two deluxe coach tickets (upgrades may be available for an additional costs) and a to-go breakfast on June 14 to take on the train. Taxes and gratuities are in addition to this cost. Sorry gift certificates cannot be used to book this package and this cannot be combined with any other special or discount..
Don’t let this opportunity pass you by, call today to book your trip. A portion of each room night will be donated to the “Fire Up 611” campaign to help pay for the restorations of Train No. 611.